Asparagus season has stretched into fall this year and I'm loving it. 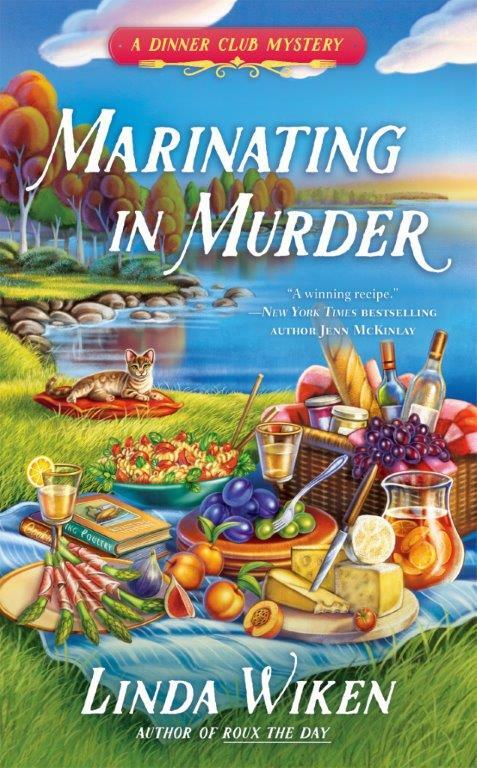 But I usually stick to my time-honored recipes. However, it was time to try something new and since I love roasting veggies anyway, I looked for something different for asparagus. I'd downloaded this from the internet a few weeks ago but neglected to write down the site and it didn't appear on the printout (so can't share that info). But I did tinker with it a bit and here's my take on it. For starters, I ran out of freshly-squeezed lemon juice so used white wine vinegar for part of the amount. I didn't have any Parmeson cheese on hand so I used Asiago (a flavorful favorite of mine). And, I added some chopped fresh basil to it all. Just because! Meanwhile, line a baking sheet with parchment paper. Add the asparagus. Then add the freshly squeezed lemon juice, sea salt, black pepper, olive oil, and minced garlic. Thoroughly coat the asparagus. Top with lemon slices, chopped basil, and grated cheese. Roast for 8-10 minutes in the oven. 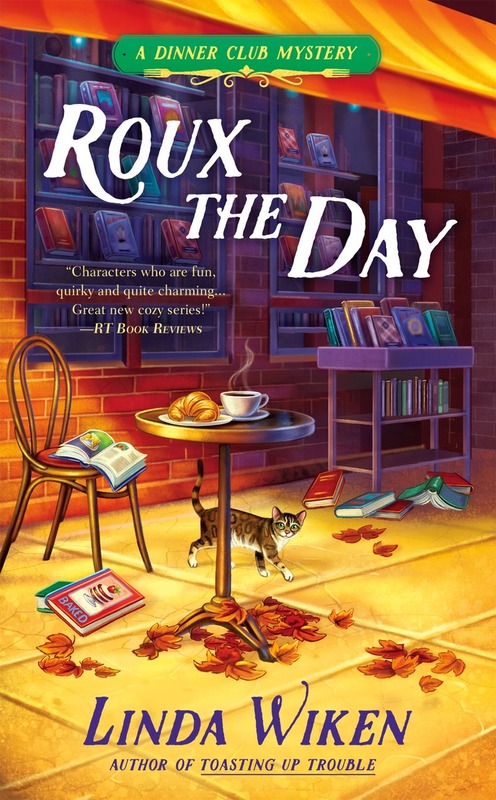 ROUX THE DAY, the second Dinner Club Mystery is available in paper and as an e-book. 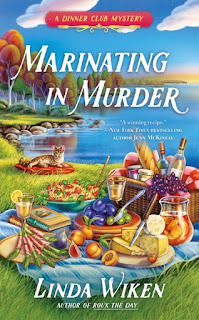 TOASTING UP TROUBLE, the first in the Dinner Club Mysteries is available at your favorite bookstore and on-line, as a paperback and as an e-book. I love asparagus as-is, but this sounds super delicious. Thanks for sharing, Linda! It is amazing what roasting does to even the best veggies! I think I would make a point of adding the cheese before the lemon slices to be sure it gets directly on the veg. Sounds really yummy Linda. Sister Kath and I just copied the recipe and we'll definitely try it.